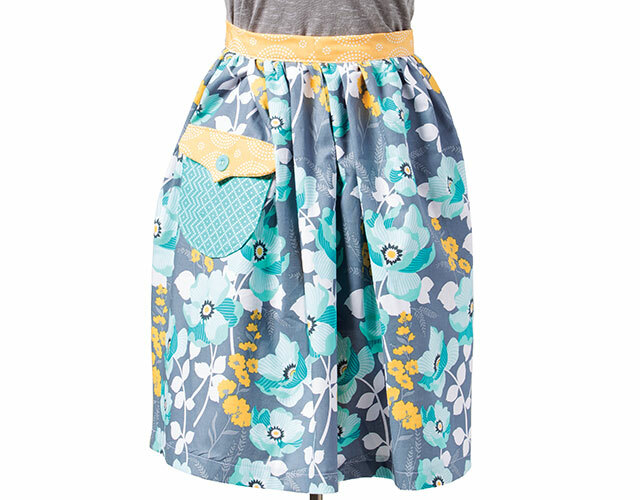 Learn essential skills while sewing a pretty and practical apron! Pick your favorite fabrics and join expert Nancy McNally in this beginning sewer's workshop! Use basic sewing tools and notions. Cut out and pin pattern pieces to fabric. Sew straight and basting stitches evenly. Create a straight, double-fold hem. Create gathers evenly to give a full yet fitted look. Sew over thick layers of gathers. Cut and stitch around curved pieces so they lay flat. 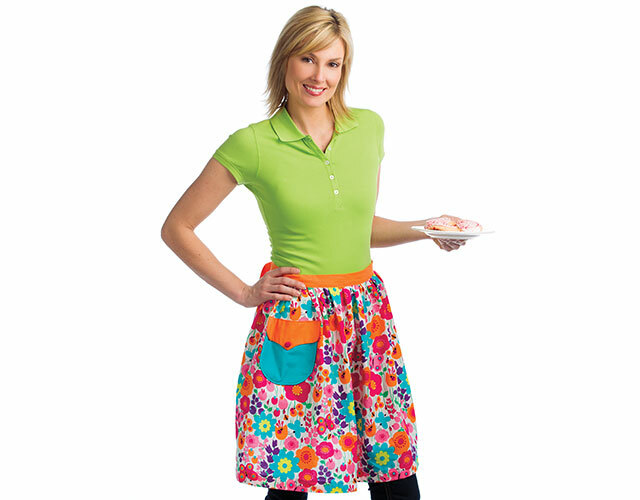 Class includes complete step-by-step instructions and materials list for the Posies & Pocket Apron. Learn to Sew streaming online class and DVD include full video and written instructions to make the Handy Baking Dish Carrier and Posies & Pocket Apron. If you purchase Handy Baking Dish Carrier and/or Posies & Pocket Apron single-project online workshop(s) and later purchase Learn to Sew, you can receive credit for the single-project workshop(s) by emailing Customer_Service@AnniesCraftStore.com or calling 1-800-282-6643. . I'm so glad I got this video. I want to make aprons and sew beads on them to give as gift to my mail lady an a few neighbors an my sister up in New York. Thank you for these wonderful videos.